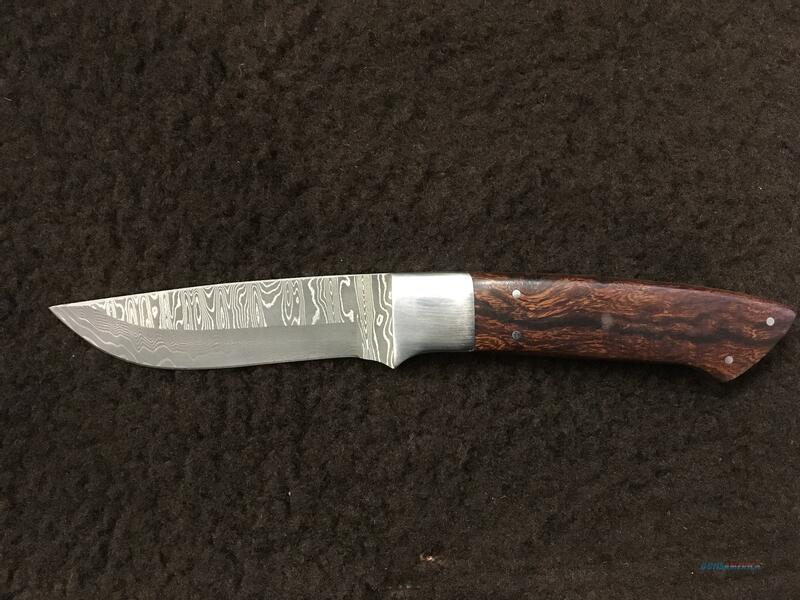 Description: Custom made knife by Ed Van Hoy. Handle is desert ironwood. Stainless steel damascus blade with ladder pattern. Includes brown leather case.